Thank you WRUV for the outstanding review! 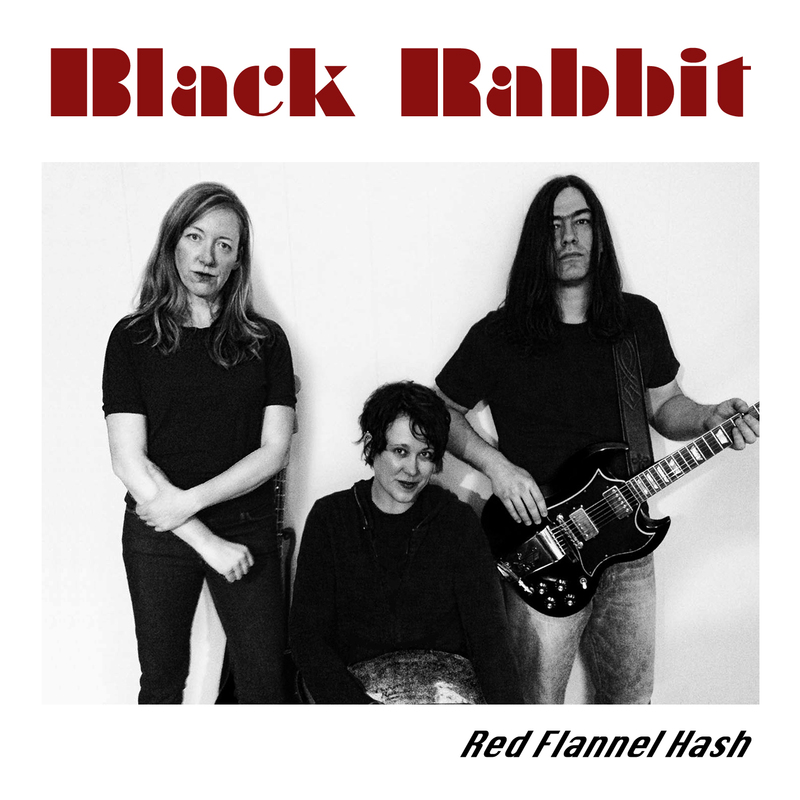 Burlington-based Black Rabbit leave an impression their eclectric blend of punk, grunge and garage rock.”Nicky Says” shut up and listen, with catchy hooks set to thundering bass. “Too Good” and “Blue Sky” buzz through the eyes, the latter doubling down on the catchy. “Double Line” impresses with thundering drums and tasty licks. I haven’t heard anything this raw in ages. “Sayonara” leaves you in the dust thanks to well-timed drumbeats. “Rotten Egg” is vaguely reminiscent of a Ramones track (“Pinhead”).”The Original Original” (and pretty much every other song) convinces me that Jane (Boxall) can do no wrong on drums. Amazing stuff. “Where Do We Go” is a grand expression of the talent contained within Black Rabbit. All more the reason to see them live. Can’t get enough of the Red Flannel Hash here!